1How do you arrange the quotes? We review your enquiry and using our access to a nationwide panel of companies & contractors, we identify suitable companies and arrange for them to contact you direct. 2Do you charge a fee? No we do not, our service to our visitors is free and without obligation to buy anything. 3Do you get commission from the companies who provide quotes? No we do not. We are independent from any installer, contractor or company that provides quotes for your work – they pay us a small fee to be listed on our panel. We have no financial interest in the outcome of the quotation – it makes no monetary difference to us if you use a company who quotes or go elsewhere. 4How do I request a quote? 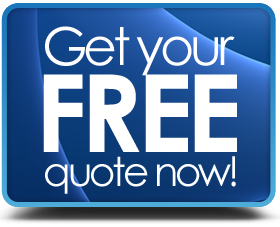 Go to our request quotes page and enter some basic details about your work, submit the form to us and we will then find installers to arrange your quotations. 5Can I get more than 1 type of quote? Yes you can. Our form allows you to select any type of single or multiple home improvement type – simply tick the checkbox that fits the best description of the type of work you are considering. If possible work with a builder who has been recommended to you by someone you trust who has had work done previously – obviously for work that involves plumbing, electrical or renewable energy use tradespersons who are qualified to do the work. National Federation of Builders, Civil Engineering Contractors Association, Major Contractors Group, National Contractors Federation, British Woodworking Federation, Scottish Building. There are many other organisations covering building trades, with different benefits to the consumer, so be sure to check which membership you contractor holds. For any type of wok that involves electrical devices, such as new wiring, rewiring or powered devices you must use a person who is trained and qualified to do the work safely. Building regulations cover aspects of electrical work and you will need to ensure that the work is compliant. For any type of wok that involves heating or plumbing, such as central heating, household water supplies, boilers, water heaters etc. You must use a person who is trained and qualified to do the work safely. Building regulations cover aspects of heating & plumbing electrical work, especially where electrical power is involved such as water heaters & boilers and you will need to ensure that the work is compliant. Chartered Institute of Plumbing & Heating Engineering (CIPHE). Make sure your gas fitter is on the GASSAFE REGISTER. Information given below regarding planning permission for your home improvements is only general in nature and is not a definitive statement about whether the work you are considering requires planning permission or not. Always consult with your local planning authority before commencing work as finding out you need planning permission after the work is finished can result in legal problems and large expenses in trying to rectify the situation. If your conservatory is within certain guidelines then it could be classed as a permitted development and not require prior planning permission to be built. Not within 2 metres of a boundary or main road. There are so many different types of home extension that it is not possible to be definitive here, however, they will need to comply with building regulations at all times. Some extensions can be seen as “change of use” and provided there is no change to the size or are of the existing property, on occasion, it may be possible to do the work without needing planning permission. You should always consult with your builder, architect & the local planning authorities to be on the safe side – if you build without permission you could end up having your work ordered to be demolished. For any type of extension, even a small conservatory, you should check for manhole covers & drains at outset. If by chance you have to do construction close to, or even over, a drain or sewer you could need to get an agreement in writing from the company that manages the system in question (local water utility company usually) – it is important to consult with them as soon as you realise you may be in this position. If you live in an ANOB (area of outstanding natural beauty), conservation area or a listed building this is going to be an issue – you need to consult with your local planning department at the earliest stage to see what option may be available to you before you spend any money. Some can be permitted developments, and if it is simple conversion (into storage space for example) you should be able to proceed without planning (building regs still apply). Creating a new basement will require careful design consultation with an expert as well as discussions with local planning authorities. In the majority of cases you don’t need to get planning permission for installing new doors & windows if they are similar to the ones being replaced. However, adding a Bay or Bow window may not be classified as permitted development and could be classed as an extension, so check about this type of window replacement for sure. Most Skylights (rooflights) may also be fitted without planning permission in a lot of instances, but there are some guidelines than need to be followed for protrusion, height level & using obscured glass where fitted to the side of a roofline. Check with your local authority first – listed buildings, protected buildings or homes in an ANOB (Area of Outstanding Natural Beauty or National Park) will always require consultation regarding improvement works. Putting a new window opening into a wall may require permission. You can usually put paving, such as a drive or patio to the front of your property without planning permission as long as the surface allows water to drain through it (permeable or porous) or the water runoff is routed to a place where it can drain naturally. For non-porous surfaces over 5 square metres without a suitable water runoff you may need planning permission. You also have to ensure that the new work does not make it worse or less accessible than before the work was done – a good example of this is if you add steps it could be considered as making the access less suitable. If you need to drop the road kerb level to give access to your drive you will need permission from the local council. For the remainder of your garden area there are no major restrictions on what you can do with the land as long as it is at, or near ground level. If you are thinking about having extensive landscaping done, then check out your councils’ current point of view first. Installing Solar Panels can be done without the need for planning permission in the vast majority of cases as long as the installations meet the right guidelines. There are other conditions that could apply (listed buildings, heritage buildings etc. etc.) and you can usually find information on the local authority website. Air Source & Ground Source Heat Pumps are considered as permitted developments and don’t usually need planning permission to install, however, as with a lot of home improvements there are some qualifying criteria. The first is that they comply with MCS (Microgeneration Certification Scheme) Standards and it is advised to consult the planning department of your local council. Biomass boilers don’t require planning permission if all the work is inside the property, but there are rules about the external chimney flues. This is known as an EPC and is official documentation that records the overall energy performance of your property at the time the survey was carried out. It also carries suggestions for home improvements that could upgrade the energy rating of the building. EPC’S are valid for 10 years. They need to be carried out by a registered domestic energy assessor (DEA). There are also energy ratings for windows & doors known as WER’s you can learn more here. These are similar to EPC’s for your property and are known as WER's, except that they only relate to the energy efficiency of the new doors or window that you install. These are a set of incomes paid to the owner of the renewable energy home improvement and are each related to the specific type of installation. Each product has a different tariff and is paid over a different period. It’s probably fair to say that most of us are now familiar with the fact that asbestos fibers can be dangerous and that removing it should be done by a specialist. If you don’t deal with your asbestos problem you could be fined up to £20,000 and jailed for 1 year (2 for serious breaches) in the UK.